Battlefront II: Inferno Squad, by Christie Golden, is one of the best installments to the Star Wars literary canon this year. If we take into account the not entirely balanced, while still entertaining, Thrawn by Timothy Zahn, as a close runner up, Inferno Squad may simply be the best so far. Adopting the ‘in the trenches’ perspective of the common soldier that made Alexander Freed’s Battlefront: Twilight Company a fascinating joy to read, Golden treats readers to a war fought more in the shadows by Imperial special forces than on the frontline. That’s right, as a quick glance of the cover reveals, this is a story told from the perspective of those who fight for the glory of their emperor. Inferno Squad is not the first novel to choose Imperials or the “bad guys” as the protagonist, as we have Tarkin, again by Zahn, and Paul Kemp’s Lords of the Sith, which have allowed readers to indulge their love for the “Imperial March.” What separates Inferno Squad from the past endeavors, is that the Imperial officers involved are much more the rank and file, nameless warriors determined to see the Imperial flag fly over every street than the big names we know and already love from the films. This has similarities to Claudia Gray’s Lost Stars, but the two main characters in that excellent novel quickly come to terms with their morally decayed empire, with one even leaving to join the Rebel Alliance. Here, any crisis of consciences that occur happen at pivotal moments at the climax of the story, and then, do not really detract from the more universally accepted idea that the Empire is a creature that values the ends, not the means, of its ambitions. 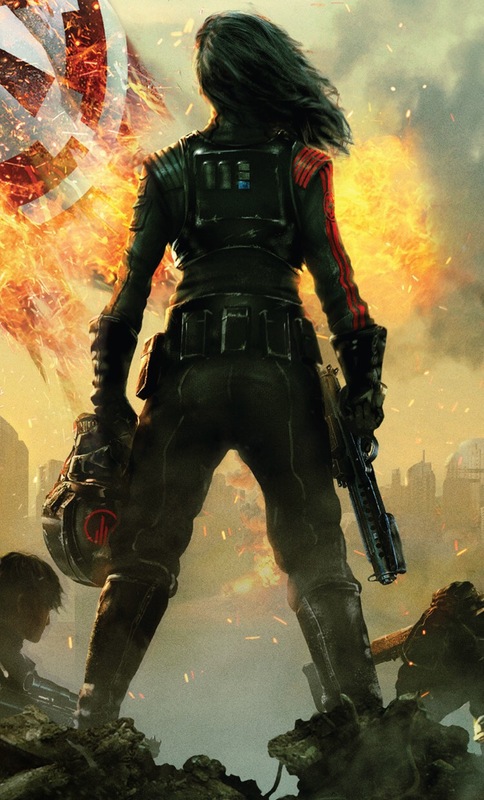 The namesake unit, Inferno Squad, is led by Iden Versio, the daughter of a high ranking Imperial admiral, who creates and assigns Versio to the unit. Joining Versio are three others, Gideon Hask, Seyn Marana, and Del Meeko, each bringing to the unit something special, be it intelligence knowledge or mechanical prowess. As characters, Golden does an excellent job providing them with unique identities and backgrounds, not to mention, dispensing with the stereotypical Imperial officer, the kind which permeate every background scene in any situation in the original trilogy involving the empire. These are characters that you generally wouldn’t mind hanging out with, so long as the topic of galactic politics didn’t come up. The breakdown of gender across the characters in the book also provide a good job of representation than past novels, a plus as the franchise still struggles with this problem. Much of Inferno Squad is dedicated to one mission, after the successful completion of previous assignments, and it involves hunting down and eliminating the last remaining believers in Saw Gerrera’s fight against the Empire. In the months that follow the destruction of the first Death Star, the hanger ons, so to speak, practice the same brutal resistance as Jyn Erso’s adoptive father, accepting civilian casualties in the name of fighting the Galactic Empire. At one point in the novel, one character does make the logical connection between this strategy and the behavior of the Empire, and this shines a light on a probable reason why the antagonist in Inferno Squad are who they are, they’re bad guys. As a result, Inferno Squad works as a study in shades. 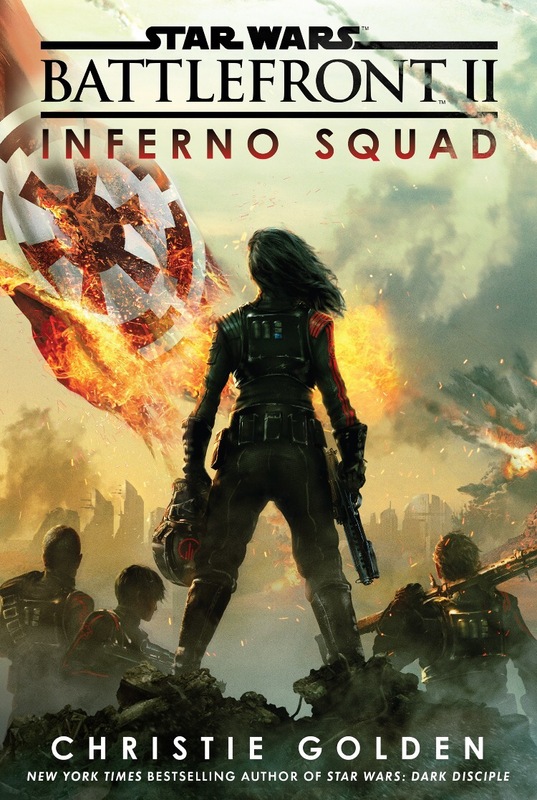 By choosing morally bankrupt rebels, versus the virtuous members of the Rebel Alliance, it lifts up the members of Inferno Squad to a more equitable and palatable view for the reader. Sure, they’re the Empire, but they’re taking out zealots who will kill innocents to achieve their goals. In fact, for the most part, most Star Wars novels of recent year which have had an Imperial or Imperial-like protagonist at the forefront, have elected to avoid placing the Rebel Alliance, proper, as the antagonist. Either the antagonist is a member of a nascent rebel unit, not quite part of the grander rebellion, or its someone else entirely, like General Cham Syndulla’s Free Ryloth partisans in Lords of the Sith. This is not a bad thing, but illustrates a clear decision not to force readers to truly have to read about friends of our heroes being slaughtered or killed by the protagonist(s). In the case of Inferno Squad, this choice does allow for a more fascinating story as the actions of the partisans directly play on the feelings of the Inferno Squad members. While this review is intended to be spoiler free, the decisions of the Inferno Squad team shines a light on the perspective that perhaps even the most loyal servants of the Empire can question the command of total allegiance. What this means for the characters in the future is an exciting prospect, but also raises the question, are Imperial characters truly relatable if there is a desire to redeem them? This creates the one sense of frustration when putting down the novel, because it’s a prequel and not a tie-in like Freed’s Twilight Company. Battlefront II does not come out until mid-November, 2017, and will feature the canonical continuation of the story of the members of Inferno Squad. For those who are not gamers, that means waiting for someone to stitch cut scenes together and post the story online. More so, Golden has made us care about the characters, and the wait until the aforementioned continuation will likely drive no few readers a bit crazy to learn more about their new favorite Imperials. This is what one calls being greedy. Not to mislead, Inferno Squad is a complete story, so no cliffhangers here. What one will find when opening the cover of Christie Golden’s Inferno Squad is very enjoyable adventure told from the perspective of those who wear the Imperial uniform with pride. Golden’s most recent contribution to the literary franchise was Dark Disciple, which was born from the unused material of one to two story arcs planned for the animated television show, The Clone Wars. While enjoyable, we found the conclusion disappointing, and were eager to see Golden write unrestrained with a story of her invention and plotting. She met our expectations and then some. As time progresses, it will be exciting to see future installments of stories which take on the perspective of the ‘other side’ and Battlefront II: Inferno Squad is an excellent addition to that growing list with its great characters and storytelling. We can’t wait for more from Christie Golden.